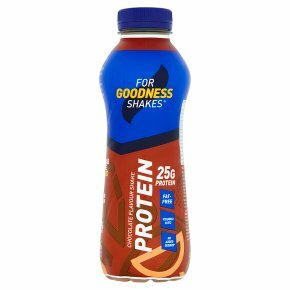 UHT milk-based low-fat protein shake with sweetener enriched with vitamins and minerals. Chocolate flavour. How to Use Each shake is convenient and ready to go. Consume one 30-60 mins before or one immediately after training. A bottle can also be consumed as a protein supplement throughout the day. Shake well before opening.